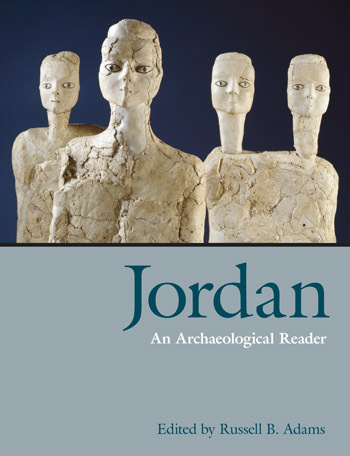 H. J. Franken, who died in 2005, was Emeritus Professor at the State University Leiden, The Netherlands, and the author of Excavations at Tell Deir ‘Alla: The Late Bronze Sanctuary (Louvain, 1992) and of numerous articles on Near Eastern archaeology. This book surveys four thousand years of pottery production and presents totally unexpected fresh information, using technical and analytical methods. 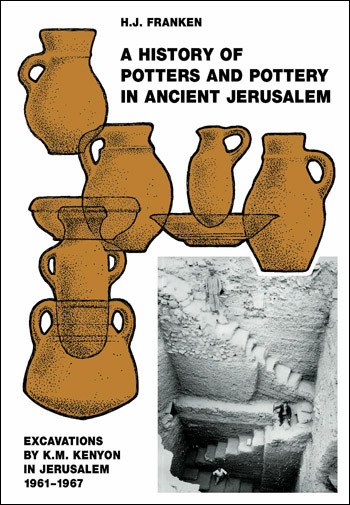 It provides a study of ancient pottery of Jerusalem, from the earliest settlement to the medieval city and brings to light important aspects that cannot be discovered by the commonly accepted morphological pottery descriptions. New insights include the discovery that third millennium BCE pottery appears to have been produced by nomadic families, middle Bronze Age ceramics were made by professional potters in the Wadi Refaim, the pottery market of the Iron Age II pottery cannot be closely dated and is still produced during the first centuries after the exile, and the new shapes are made by Greek immigrant potters. The book contains a chapter on the systematics of ceramic studies and numerous notes about the potters themselves. PAPERBACK EDITION PUBLISHED MARCH 2013 This book surveys four thousand years of pottery production and presents totally unexpected fresh information, using technical and analytical methods. It provides a study of ancient pottery of Jerusalem, from the earliest settlement to the medieval city and brings to light important aspects that cannot be discovered by the commonly accepted morphological pottery descriptions. New insights include the discovery that third millennium BCE pottery appears to have been produced by nomadic families, middle Bronze Age ceramics were made by professional potters in the Wadi Refaim, the pottery market of the Iron Age II pottery cannot be closely dated and is still produced during the first centuries after the exile, and the new shapes are made by Greek immigrant potters. The book contains a chapter on the systematics of ceramic studies and numerous notes about the potters themselves. This chapter critically examines the value of pottery typologies as used in the dating of archaeological finds, and attempts to show that pottery from ancient cultures deserves a study for its own sake and value. The chapter discusses the idea of explanation, “Hume’s problem”, the typological system in Near Eastern Archaeology, as well as the Idea of identity of forms and their synchronous development. It is also concerned with archaeometry and provides some examples of Explanation in Pottery Studies. This chapter is concerned with pottery from the Early Bronze Age. This pottery cannot be considered as a locally produced homogeneous group. The raw materials used in the production indicate a wide range of sources. Therefore, the wares are first described, followed by the pottery drawings and description which cover the range of shapes found. This is followed by some notes on the manufacturing of the pottery and a list showing the quantity of sherds from each class and other features found. This chapter is concerned with pottery from the Middle Bronze Age. It describes the total assemblage of this pottery as it was found in the Site A squares. A sketch of complete forms suggests to which forms the classes may belong and further, a survey of the classes and variants is provided as well as a list of the provenance of the illustrated sherds. It further presents a survey of the total amount of sherds found; the cave pottery is compared with the total amount of sherds found elsewhere on the site. This is followed by notes on the construction of this pottery, on the firing temperatures and the influence on the colour of the sherds. The most common ware by far is the dolomite clay already described in Franken and Steiner 1990. This chapter is concerned with pottery from the 12th Century BCE. The pottery is published in provenance groups. This is preceded by a list of wares and followed by a discussion of the potters’ techniques. This chapter is concerned with pottery from the 10th Century BCE. It describes the wares as well as the published sherds concerning the period. This chapter presents a survey of pottery production in the Iron Age. It discusses the development of the potter’s craft from the 12th century BCE until its end around the 4th or 3rd century BCE. The survey presented is restricted to the developments of the pottery found in ancient Jerusalem. Chapters 7–10 present pottery from the Neo-Babylonian, Persian, Hellenistic and Early Roman times is described. All this pottery was found in the ancient dumps overlying the Iron Age ruins on the eastern slope of the Ophel. This chapter is concerned with the study of Square A XVIII, 6th–5th Centuries BCE. This chapter is concerned with describing a survey of the pottery found in the ancient dumps, except for the Persian pottery from the dump in Square A XVIII and the imported Greek wares.The dumps from Squares A I–III had been studied and phased by Kenyon and the pottery sorted accordingly. This chapter discusses imported slip-glazed and plain pottery from Greece. Therefore, after a preliminary study of the wares of a sample of black-slipped and red-slipped sherds, a test of the slip colours by means of refiring had been performed. Moreover, the chapter analyzes the Greek imported non-slipped pottery. This chapter discusses the later Roman sherds found on the eastern Ophel slopes. These sherds, with the exception of two sherds of class 12D2 (jars), had only been found in the dumps lower down the slopes and in Site C. It is considered that these later sherds were transported lower down the slopes by erosion of the surfaces in higher areas. This chapter is concerned with pottery from the Byzantine period. In this period the clays used in the pottery production were not similar to those used during the Iron Age. It is considered that that pottery was produced in large quantities in several ‘factories’ with very efficient production systems. The chapter presents the wares of the Byzantine pottery, as well as a survey of the pottery classes and ends with a note on the date of this pottery. This chapter presents the transition from the profile of the pot to the profile of the potter as a representative of a unique cultural tradition. It presents the potters who produced pottery in the differenced periods discussed in the book. 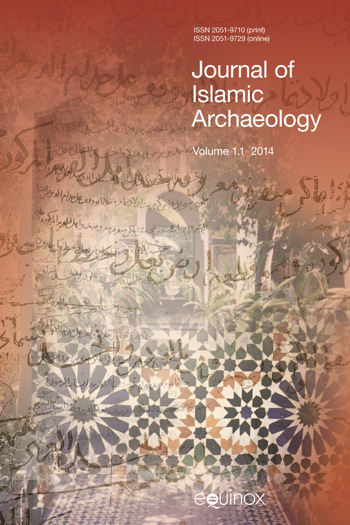 The chapter ends with some general remarks regarding pottery and the writing and interpretation of this survey.